Timely backups can save one a lot of hassle.This applies not only to your computers but also (and increasingly so) to your mobile devices. As more and more of us install custom ROMs, mods or hacks to our Android phones and tablets, the need to perform backups before making any advanced or system level modification to your device increases. If you're going to be messing around with custom ROMs at all, it's a good idea to have a nandroid backup at the ready. A recent backup can save you a lot of time and heartache if things end up going sideways. However, backing up your system used to mean rebooting into recovery and waiting for 5-10 minutes while everything progressed. That's not the end of the world, but every barrier to backing up makes people less likely to do it. 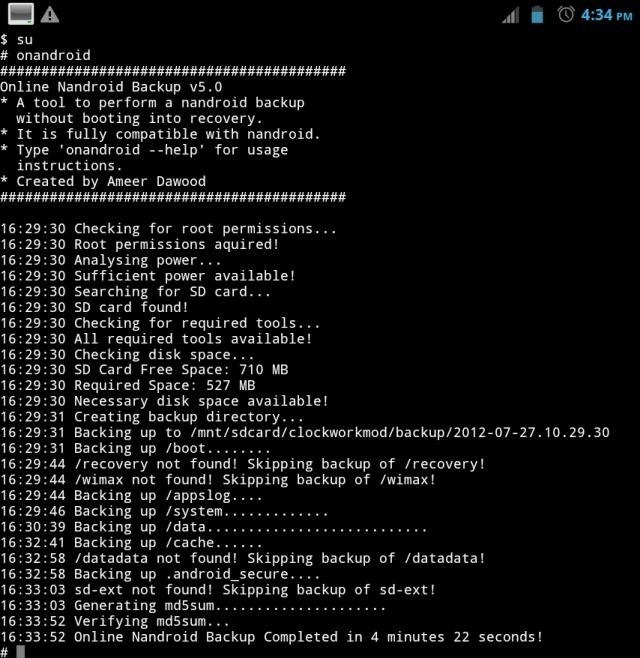 With Online Nandroid Backup (or Onandroid for short), you can get a full backup done within Android itself. Rooted Android phone or tablet. Most rooting procedures install it automatically but if you are not sure whether it is installed or not, install it using this BusyBox app. If you already have a custom recovery installed, you can install Online Nandroid Backup just like you install any other zip file from recovery – simply downloading its zip file from the link given above, copy it to your sdcard, reboot your phone into recovery, install the zip file and reboot back into Android. You now have onandroid installed. If you don’t have a custom recovery installed yet and want to take a complete backup first before installing a recovery, or want to keep your stuck recovery for any reason, you can install Online Nandroid Backup manually by following these simple steps. Important: Make sure to allow any SuperUser permission requests that you may get during these steps..
You basically have to extract the ‘onandroid’ file from system/bin folder of the zip file that you downloaded, copy it to /system/bin directory of your Android device and set its permissions to 755 (rwxr-xr-x) with any tool of your choice (Root Explorer, Super Manager, ES File Explorer, ADB, Terminal Emulator). We will be using Terminal Emulator since we need it later anyway. Download the zip file for the tool from the link given above, and extract its contents. In the folder where you extracted it, go to ‘system’, followed by ‘bin’. 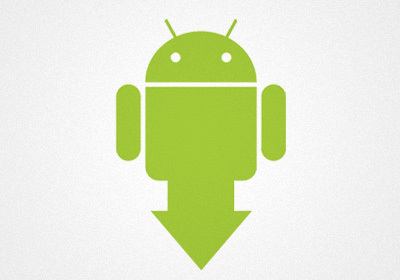 Copy the ‘onandroid’ file and transfer it to your Android device’s sd card. Install Mount /system (rw / ro) on your device and launch it. Tap ‘Mount r/w’ to mount your /system partition as writable. You may now exit Terminal Emulator; ondroid is now installed. Launch Android Terminal Emulator on your device. Note: Please make sure only to use characters that are allowed in file names. There are also a few graphical user interfaces for the app that you can use instead.